Now I'm sure we can go on and on back and forth on this subject. But if you only were looking at a stud dog for hunt who would it be . Mt. State Blue Bud, go run with him and his young ones. You got something to out jump them....you got something!! Seen it in person, not hearsay. Seen 8 pups off of about 6 different females and they all hunted hard for rabbits, like that was there next meal...LOL. I thought they all hunted. From what I've seen out of him if your looking for super hard hunt I'd say Mountain Ash Dino! Frenchmans Zacarys Last.. Cant go wrong with Jigs Blood.. Dino and Zac are both heavy Jigs..
Running style dosent matter . Just gifted hunt and jumping ability . Off the lead ignorant hunt. rackhntr wrote: From what I've seen out of him if your looking for super hard hunt I'd say Mountain Ash Dino! 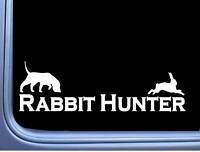 Casey Harner wrote: I thought they all hunted. Just being serious Jim. I do believe dogs that are up for stud to the public probably hunt and throws hunt. If they don't do both why be up for stud in the first place??? Any stud out there probably is a safe bet for hunt, a style of running might be different. I'm a little biased but I have a nice hunting female out of Branko's Red River Runner. Seen a lot of hard hunting pups out of Kimbrel Kick Em Up Kane. Not all beagles hunt. 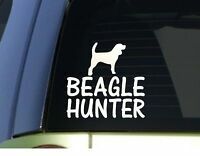 I just wouldn't think a beagler would put a stud dog out there to the public if he knew it didn't hunt. Yeah! Hunt is required to win Field Champion status. Good luck. Call me if you want specifics. I have owned one, and seen several, not from the same cross either.